Tobacco smoking ruins lives and lung cancer rates are alarming. Many engage in smoking just for the fun of it and unfortunately get caught in the nicotine addiction trap such that they cannot do without a certain number of puffs per day. Smoking has had a great adverse impact on many communities and has been directly responsible for the plight of those who are slowly wasting away from the ravages of lung cancer. In 2012 (the most recent year for which data are available) lung cancer was the most commonly diagnosed cancer with 1.8 million cases worldwide, accounting for 13% of all cancer cases. It is also the most common cause of cancer death, and killed 1.6 million people in 2012 (19.4% of total cancer deaths). And yet, it is preventable in most cases as smoking is by far the leading cause of the disease and responsible for about 70% of the world’s lung cancer burden. 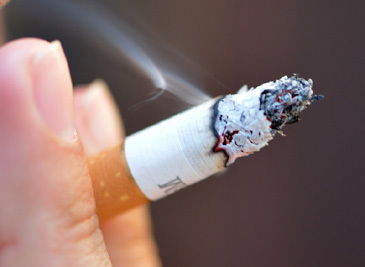 In addition, second-hand smoke has been proven to cause lung cancer in nonsmoking adults. It is a tragic fact that 40% of smokers who start smoking in their early teens and continue to do so will not live to see retirement as every 30 seconds, someone, somewhere in the world dies of lung cancer. Not only is it disheartening but scary to note that only 1 in every 10 people with lung cancer live for more than 5 years after the diagnosis. In Zimbabwe men constitute the majority of smokers. Several people confirmed to this correspondent that they smoke to ‘fit in the society’. But then, there are also cases of men who do that for the pleasure of it. 38 years old Jabulani Ncube, shared his experiences with CNS, confirming that smoking is addictive. Jabulani said that he started smoking at a very young age and very soon graduated from taking Everest (a cigarette brand) to smoking strong stuffs such as marijuana. His blood shot eyes and a persistent cough bear witness to the impact of smoking on his health. “I started smoking at the age of 15 and after two years I started craving for stronger stuff such as cannabis (marijuana) and since then I have never looked back. I take more than 10 cigarettes per day and if I do not, I lose appetite for food”, he said. Quizzed on how he sustains himself since he has to shell out at least R15 (USD 1.3) per day, Jabulani informed that he has learnt to hustle— the only way he knows (hustling means anything one does to make money, be it selling, cars, drugs, one's own body, etc). He expressed complete ignorance about lung cancer, which according to him, is just like any other disease. Along with smoking tobacco filled cigarettes, the illegal cannabis has also become popular with many young people in Zimbabwe. The average price is about $5 for five to 10 grams of landrace marijuana that is about average in quality. Many smokers’ hard earned cash goes down the drain just to satisfy their thirst for a few puffs. The recent Investigations by the Zimbabwe Broadcasting Corporation (ZBC) News revealed that there are known corners in Harare where illicit dealings involving drugs are carried out. Luck Street in the capital is one area where such activities take place. Even old women, posing as innocent vendors, are said to be suppliers of drugs. Peer pressure on school kids is also a contributing factor to the abuse of drugs by many teenagers who want to fit in their community without weighing the repercussions of their actions. When such warning signs develop one is encouraged to visit a health practitioner because if the condition is diagnosed early and the cancer is confined to a small area, surgery to remove the affected area of lung is usually suggested. If surgery is avoidable, radiotherapy is recommended so as to destroy the cancerous cells and in an unfortunate case where the cancer has spread too far for surgery or radio therapy to be effective, chemotherapy becomes an option. All these treatments neither come cheap nor result in very successful outcomes. Hence people world over are urged to think twice about its cocktail of problems before smoking. After all, preventing lung cancer by shunning smoking is better than treatment. Unlike many other cancers, rates of lung cancer incidence can be largely curtailed through using proven tobacco control interventions. During the presentation of Zimbabwe’s 2015 National Budget, the Minister of Finance and Economic Development, Honorable Patrick Chinamasa said that the government proposes to increase excise duty on cigarettes from the current $15 to $20 per 1,000 sticks. This will increase the price of the commodity and in the long run consumers will be discouraged to purchase it. Although tobacco contributes a high percentage of Gross Domestic Product, with the country exporting at least 80% of its mainly semi-processed tobacco, the government has put in place measures to discourage the public from smoking in public places, in accordance with Statutory Instrument 264 of 2002 of the Public Health Act on tobacco control. These are some of the measures to minimize tobacco smoking, where non-smokers also feel the effects, and in the long run reduce the rate of lung cancer and air pollution. There is also the need for the government to introduce rehabilitation centres so that people are educated on the lethal effects of smoking. Agrees Dr Ehsan Latif, Director, Department of Tobacco Control at the International Union Against Tuberculosis and Lung Disease, (the Union). He said to Citizen News Service (CNS) that: “Treatment of cancer in low and middle income countries is a burden on the health care systems and on the affected families. The governments should actively look at tobacco taxes as a resource to fund health care and invest in health promotion activities. Tobacco use is a major risk factor for lung cancer and other non communicable diseases and by working on this modifiable risk factor we can improve the health of millions and save them from pre-mature deaths and disability. The governments are these days concerned about economic outputs and growth, while raising productivity yet fail to see the losses tobacco use incurs. The governments need to not only pass policies and legislations for effective tobacco control but also make sure these are properly implemented.” In 2003, the WHO established the Framework Convention on Tobacco Control in response to the globalization of the tobacco epidemic. It is an evidence-based treaty that reaffirms the right of all people to the highest standard of health, and outlines policies that work toward progress in tobacco control across the world. It is high time that smokers and governments the world over reflect on the money wasted on ruining their health and well-being and consider that the air they are polluting is harming nonsmokers too; as they make concerted efforts to minimize smoking, bearing in mind the millions of lives that have been cut short due to tobacco related diseases, including lung cancer. The above story was provided from Citizen News Service – CNS.